Deep beneath the waves, King Triton's powerful trident has passed through the magical barrier that surrounds the Isle of the Lost-keeping villains in and magic out. And when Mal's longtime rival Uma, daughter of Ursula, gets wind of this, she can't believe her luck. The tide has dragged in something good for a change, and Uma is determined to get her wicked hands on it. But first, she needs a pirate crew. 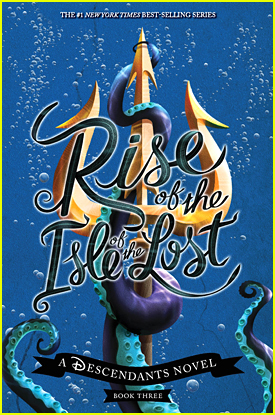 A storm is brewing back in Auradon, and when Mal, Evie, Carlos, and Jay hear that the trident has been washed away, they realize they'll have to find it before anyone from the Isle does. Luckily, they seem to have a talent for locating missing magical objects. As Uma readies for the high seas alongside Harry, son of Captain Hook, Gil, son of Gaston, and the toughest rogues on the Isle of the Lost, the reformed villains of Auradon devise their own master plan. And with King Ben away on royal business, they won't have to play by all the rules. Using bad for good can't be totally evil, right? The thrilling, perilous race to the trident pits old friends-and current enemies-against each other with the future of Auradon on the line. Both teams might like to make waves, but only one will come out on top of this one. Melissa de la Cruz (www.melissa-delacruz.com) is the author of the #1 New York Times best sellers The Isle of the Lost and Return to the Isle of the Lost, as well as many other best-selling novels, including all the books in the Blue Bloods series: Blue Bloods, Masquerade, Revelations, The Van Alen Legacy, Keys to the Repository, Misguided Angel, Bloody Valentine, Lost in Time, and Gates of Paradise. She lives in Los Angeles, California, with her husband and daughter. 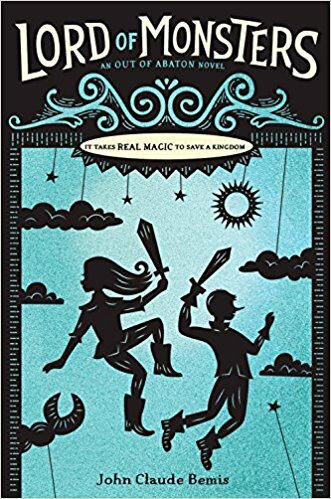 I received this book for free from Crown Books for Young Readers in exchange for an honest review. This does not affect my opinion of the book or the content of my review. Fans of Kate DiCamillo's Flora & Ulysses and Katherine Applegate's Crenshaw will fall in love with this charming adventure story about a girl learning to accept her new life, her quirky detective neighbor, and their epic search for Bigfoot. Lemonade Liberty Witt's mama always told her: When life gives you lemons, make lemonade. But Lem can't possibly make lemonade out of her new life in Willow Creek, California--the Bigfoot Capital of the World--where she's forced to live with a grandfather she's never met after her mother passes away. "I love books about feisty girls and nerdy boys. Melissa Savage's astoundingly good debut novel is packed with humor, mystery, friendship, family secrets, and even Bigfoot! I think you'll love it, too." Melissa D. Savage completed a Master’s Degree in Writing for Children and Young Adults at Hamline University in Minnesota in 2013. She was privileged to be able to receive guidance from amazing authors, educators, and fellow writers who shared their wisdom, experience, and support. Since then, she has been recognized for her work at the San Francisco Writer’s Conference in both the Middle Grade and Young Adult Genres. Melissa is a writer and a child and family therapist. 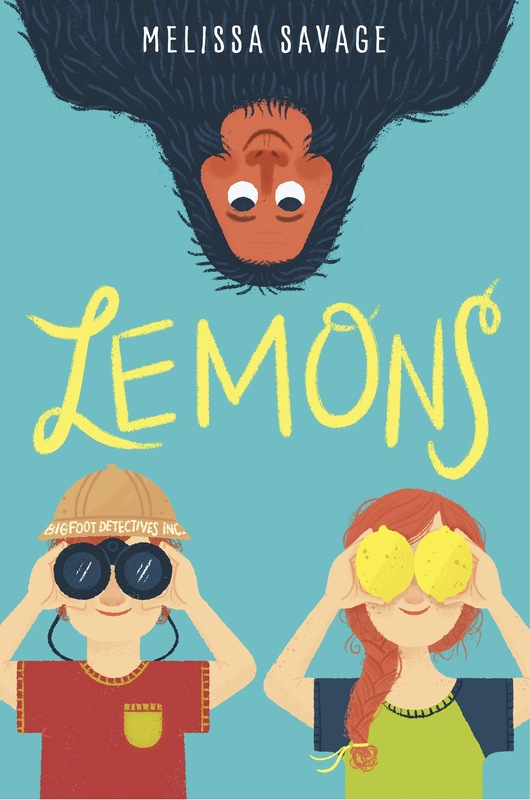 Her desire to write purposeful, issue-driven books for young people, coupled with her interest in cryptozoology and the mystery of Bigfoot, inspired her to write Lemons. Melissa lives in Minneapolis. You can follow her on Twitter at @melissadsavage, and visit her at melissadsavage.com.